Advantages of Liftronic® INDEVA® Intelligent Devices for Handling vs.traditional pneumatic manipulators. efficient and user-friendly auto diagnostic system: many auto- diagnostic parameters for accurate and quick fault diagnostic. 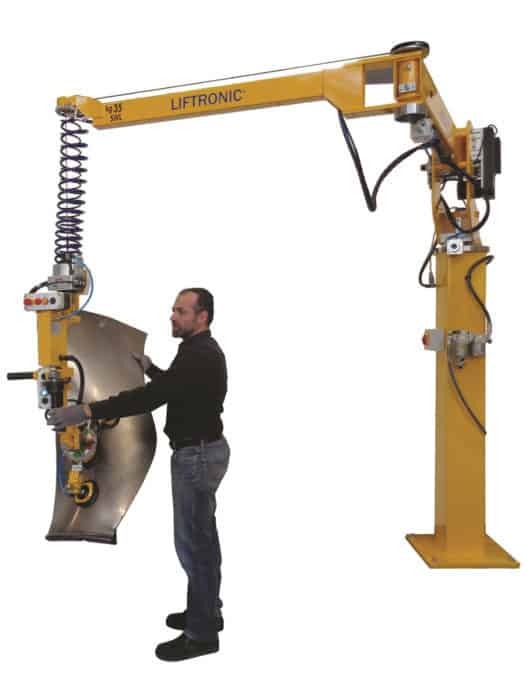 The Liftronic® Series Industrial electronic manipulators are known as INDEVAs, Intelligent Devices for Handling. 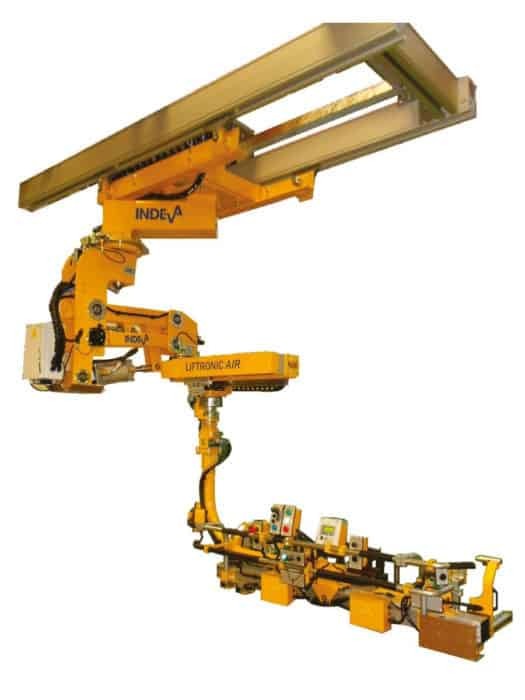 The INtelligent DEVices for hAndling (INDEVAs) are a new generation of advanced industrial manipulators, featuring electronic control. 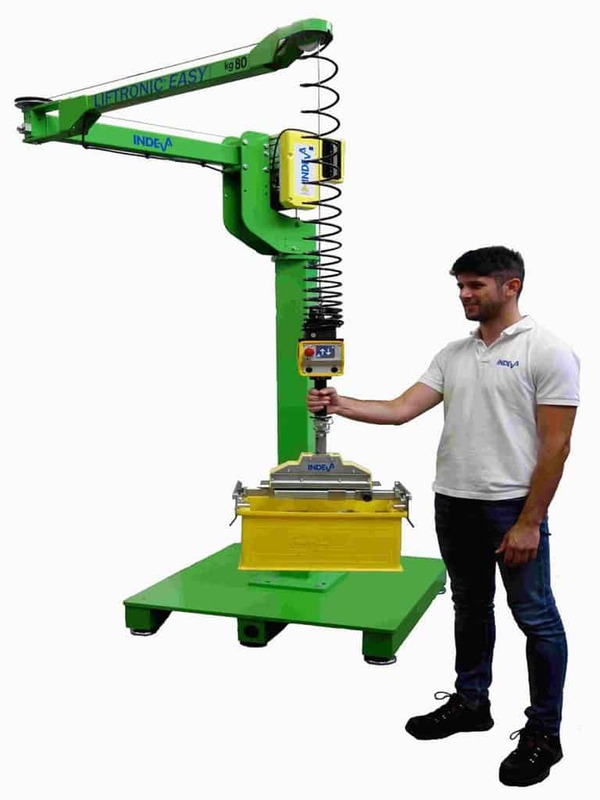 They represent the evolution of traditional industrial manipulators and belong to the innovative product family of manual load handling assist devices known as Intelligent Assist Devices or IADS. Many are the advantages of an INDEVA® compared to a traditional pneumatic manipulator, the main of which is surely the auto-weight sense and auto balancing feature and its greatest responsiveness. For these unique features the INDEVAs can be truly considered ‘human extenders’. Liftronic® Series Intelligent Devices for HAndling (electronic manipulators) are ideal anywhere speed, fluid movement and exact positioning of the load are required. They can be linked either to standard gripping chucks or to bespoke gripping devices designed by our engineers specifically for each application.